Summertime…time for road trips with the family, BBQs, trips to the pool, and all of those other activities on your summer bucket list. Every year summertime rolls around and 2 things happen (at least in our household! ), 1. I always feel like I am going to have more time to craft and inevitably I don’t because we are so busy with summer activities and 2. engaging in all of that summer fun starts to drain the bank account fast. Today I have a solution to these 2 problems, I am linking up 35 free summer printables. Printables are awesome because they give you a jumpstart on your paper crafting projects. Just print and cut and you are ready to go so you may be able to sneak a few projects in this summer after all. Best of all, these are all free. That’s right, free! No coupons to clip, so sales to look out for, just click on the links and hit print and you are on your way to easy summer paper crafting. Print up one (or two!) 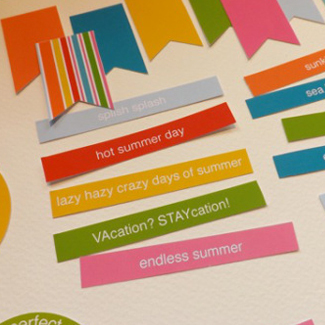 of these summer themed printables to add a touch of summer to your home decor. Print and frame in an inexpensive or repurposed frame and you have a fun and budget friendly gift giving idea. I know I am not the only one behind on my summer memory keeping. 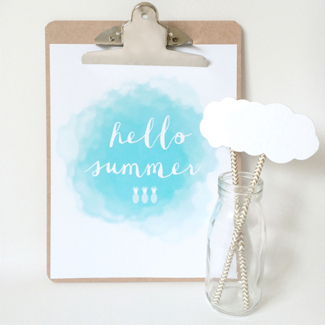 These printables will make quick work of getting caught up, print and add to pocket pages or traditional layouts that capture your summer memories. No need to run to the store for decorations for your next get together. 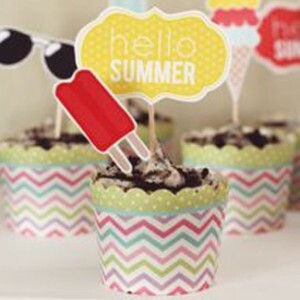 These printables are perfect for all of your summer entertaining. From invitations to photo booth props, your party is covered from start to finish. Have your heard those dreaded words this summer yet? 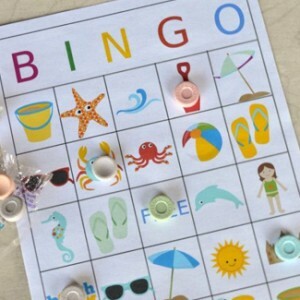 You know the ones, “Mom i’m bored!” Keep a few printable bingo cards in the car for road trips or implement a summer reading program when boredom strikes. 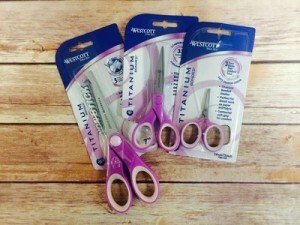 Enter to win three pairs of Westcott Titanium Bonded Scissors ! One lucky winner will receive 3-inch, 5-inch, and 7-inch Westcott Titanium Bonded Scissors! The deadline to enter is July 19, 2015 at 11:59:59 p.m. Eastern Time. You’ll never be worried about having a sharp pair of scissors ready to start that next paper craft project.